One of the oldest building materials, the humble brick, is experiencing a fresh resurgence within architecture. It’s much more than the universally- known red brick – new-builds, refurbishment and extension projects are paying more attention than ever to colour, size, texture, style and application. Glazed and crackled bricks, used for feature walls or kitchen splashbacks, are increasing in popularity, as are lime washed bricks for a softer look. Brick ‘slips’, cut from the face of the brick, are also increasingly popular in the UK. They can be used both for external facades (timber frame construction and cladding of existing exteriors) and for decorative use on internal feature walls. There’s a thriving market for traditional handmade bricks – used to create an authentic period look or a contemporary ‘imperfect’ urban finish, to highlight modern fittings. There has been a rise in specifications from architects and developers who want to differentiate their projects, while stockists are reporting more enquiries from contractors and self-builders. There’s still a demand for reclaimed bricks, but these are hard to come by in any quantity, expensive and a relatively lucrative target for thieves. Age – and transportation – take their toll. There is no standardised testing, so builders typically report 20 per cent wastage. ‘Kiln-fresh’ handmade bricks are a viable alternative – still a premium product but much more cost-effective, CE marked, fully frost-resistant and available on reasonable lead times. It’s now possible to match new handmade bricks to each area of the UK, from London yellows, to rich oranges in the Midlands, deep blues and reds in the North and reds in the South. Textures are different according to the period of the brick, the area it’s from and even its position on the building (in some regions facade bricks were smoother and of better quality than those on the back and sides). Sizes vary too, from standard imperial 2¾” to the 3” bricks popular in the North and Midlands. Pre-1965 all bricks were imperial sizes, so it’s important to use an exact match when extending or refurbishing a period property. Brick blends of colours and types, or off-the-shelf or bespoke weathering and tinting are additional options which ensure new brickwork integrates seamlessly with the original. It’s best to consult a specialist manufacturer for advice on this. Architects are also designing new-build projects with regionally-matched, handmade bricks. This is essential for – but not restricted to – new developments in conservation areas, and doesn’t necessarily mean a pastiche of old styles. Niche developers are coming up with fresh approaches, building small groups of homes that reflect local architecture with a twist. Reclamation style bricks mixed with floor-to-ceiling glass make a bold statement. A property instantly matches its surroundings yet stands out – for all the right reasons. Unusual combinations of bricks and mortar – such as a London yellow brick with a dark grey mortar, or a Cheshire 3” brick with a red mortar, adding an individual touch to a traditional design. Recent projects Imperial Bricks has supplied show how versatile handmade bricks can be. 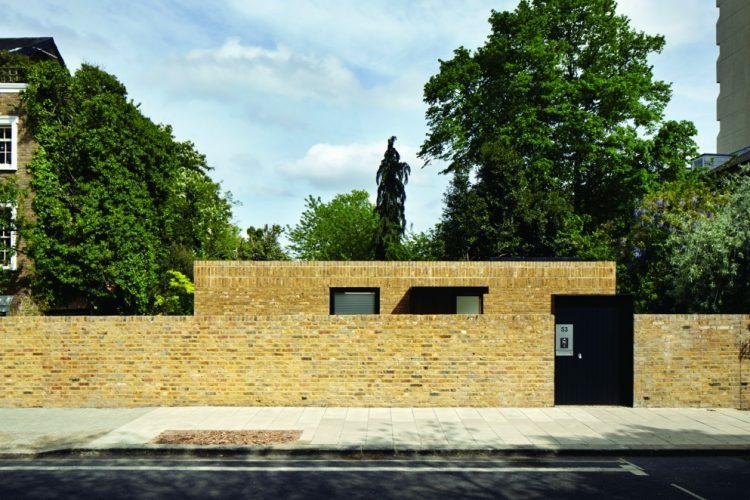 For example, a modern three-bedroom house has replaced a derelict medical surgery in Lansdowne Gardens, SW8, London. 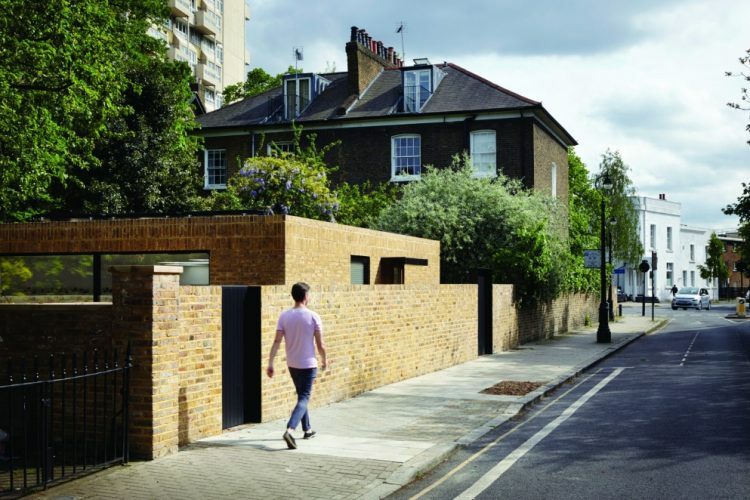 Situated between two listed buildings in a conservation area, planning conditions stipulated that the new build had to appear the same visually from street level. 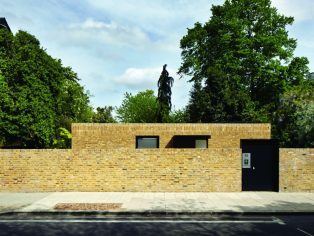 Phillips Tracey Architects used the 68mm Reclamation Yellow Stock to match salvaged brickwork from the site and repair boundary walls, creating a seamless finish. Another sensitive scheme was Moray Mews, a terrace of eight contemporary courtyard houses near Finsbury Park, London. A former stable and coach house, the narrow development site overcame many challenges to create a radical but sensitive scheme. Large projecting glass bay windows combined with the rustic texture of the 65mm Reclamation Yellow Stock ensured an instantly established appearance to the new-build properties. The Yellow Stock is used throughout homes in the surrounding area, and by using the metric sizing, Peter Barber Architects and developer Roberto Caravona could easily incorporate the bricks with modern measurements. Our RIBA-approved CPD gives specifiers and developers better understanding of traditional brick manufacturing methods, and which bricks are suitable for different building types and applications.